Industrialised countries uneasy at the prospect of a shift from traditional political rights for the individual to rights that link communities and the environment? WHEN THE UN Sub-Commission on Human Rights meets in Geneva in August, we may see another forward step by the growing movement for international acceptance for the concept of environmental rights. The meeting will review a three-year study on the links between human rights and the environment by the sub-commission's special rapporteur, Algerian lawyer Fatma Zohra Ksentini. The Ksentini report is expected to create considerable controversy because several industrialised countries are unhappy with the shift from traditional political rights. The old concept -- barbed wire, torture and disappearances -- emphasised the individual, but the new approach focusses on collective rights and communities. The US government, for example, warns that collective rights might serve to strengthen oppressive and undemocratic regimes to the detriment of the individual. Right to development Environment in 1972 was almost synonymous with industrial pollution, but its focus became sharper and was incorporated into development thinking. The first significant attempt to extend traditional human rights concepts was the idea of a right to development, pressed by developing countries partly in response to the North's emphasis on "democratic norms". The different approaches were thrown into sharp relief at the 1992 meeting of the UN Commission on Human Rights, when US delegate Kenneth Blackwell asserted ensuring political and civil rights creates the most nurturing environment for development. Pakistan's Mohammed Saeed Ansari countered with the statement that the realisation of the right to development was the foundation for all other human rights. 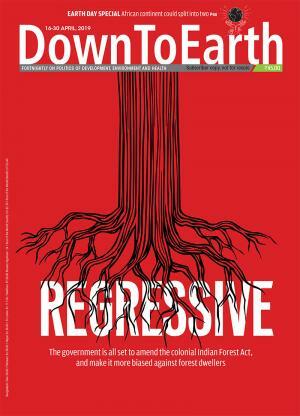 In India, progress on environmental rights has been made on several fronts, including in a series of court rulings in the 1980s in which Indian judges moved toward public interest litigation (PIL) and away from a restrictive principle that allowed only those directly affected to seek legal redress. The judicial shift recognised any individual or group can file PIL cases. In Hyderabad, the High Court interpreted environmental pollution as an infringement of Article 21 of the Constitution, which lists right to life as a fundamental right. Former chief justice P N Bhagwati later ruled this constitutional guarantee is meaningless unless citizens also have a right to a clean and healthy environment. When the Supreme Court halted limestone mining in Doon Valley, it was in response to litigation that for the first time required the court to weigh environmental integrity against industrial demands on forest resources. The case showed that citizens had the right to seek judicial help in matters of social justice and that the Constitution, by implication, guarantees ecological justice. Charting rights In the North, a more cautious approach was made in 1990 when nine European Community specialists drew up a draft charter on environmental rights and obligations. The draft dealt mainly with the rights to environmental information and training, participation in decision-making and legal redress. Its provisions were clear and simple but also cautious and incomplete, containing little that was original and not already part of several existing national constitutions and legal codes. The EC draft charter was intended to lead to a universal formulation at last year's Rio summit, but this did not happen, partly because the issues raised were not a priority for the South. Instead, the more powerful Southern governments negotiated a compromise that has since become known as the Rio Declaration. Though this toothless document includes many pious platitudes from the past, it also contains important statements about indigenous peoples, oppressed peoples, liability for pollution and compensation for victims of environmental damage. The document also urges application of the precautionary principle, which states that in areas of scientific uncertainty such as global warming, only policies that cause the least damage in worst-case scenarios should be adopted. Public awareness about environmental rights has generally focussed on prominent individuals, such as Brazilian trade union leader Chico Mendes who was murdered for working with rubber tappers; Filipino priest Nery Lito Satur, killed for campaigning against illegal logging; Wangari Mathaai, leader of Kenya's Green Belt tree-growing movement, who has been the subject of political and police harassment; and Paula Nathaniel, hounded and harassed for blowing the whistle on unsafe procedures in a Westinghouse Corporation nuclear plant in the US. The underlying drive for environmental rights, however, is based not only on individuals but also on communities. The Sierra Club Legal Defence Fund, a US organisation that lobbied for the Human Rights Sub-Commission study, speaks of "an increasingly obvious link between environmental degradation and the health and welfare of communities, whether they be indigenous people, minorities, workers, rural populations, villagers or city-dwellers". Such communities cannot rely solely on governments to protect their environment, which is why the Sierra Club also calls for an internationally recognised right "of communities, minorities and other affected people" to informed participation in decisions that threaten their health, resources and the ecosystems on which they depend. The concept of communities at risk led to more thinking on the most basic right of all: survival with dignity. Acceptance of an internationally guaranteed right to survival was promoted at the Rio summit by the Centre for Science and Environment (CSE) and was reiterated in Delhi last April by a meeting of South Asian NGOs. This right has become imperative because of the poverty and deprivation in which millions of people live. In such conditions, talk of morality, international solidarity, common solutions and preservation of global commons amount to no more than an insult to the world's poor. The right to survival entails use of a fair share of the environment. Colonialism extracted resources from large areas of the world and "development" has continued the destructive process. Many Southern governments are now under strong pressure from community groups and NGOs to not compromise in negotiations on climate change, the seas, biodiversity and the atmosphere. The fear is that any deal based on "the global commons" or "the common heritage of mankind" will mean a further loss of control over the local environment and loss of resources. From the Amazon to Malaysia, communities proclaim survival cannot be negotiated, especially in cases where their perceptions and participation are inadequately represented. What is sought is no mere declaration, but an ecological regeneration programme, which would give meaning to the otherwise empty promise to end hunger made 20 years ago by former US secretary of state Henry Kissinger. The CSE programme is targeted at the world's poor, who today flee as "ecological refugees" from the barren hills of the Himalaya, the arid regions of India's central highlands, the degraded slopes of the Andes, the drought-devastated soils of the Sahel, and the water-ravaged plains of Bangladesh. Those who stay behind work the soil for survival and have no time, energy or money to rebuild their devastated ecological capital. The programme could be funded through state contributions based on national wealth or through an international tax. This would not be charity: The rich nations have run up a huge historical debt -- a century of pollution by industrial emissions -- and they are not paying for present consumption either -- they do not pay, for example, the ecological costs of consuming tea, coffee, cocoa, peanuts, pineapples, rubber and tropical timber. The costs are transferred to the poor and to future generations. Regional experiments have proved the feasibility of large-scale programmes of employment and ecological regeneration. In Maharashtra, for example, the Employment Guarantee Scheme has created productive rural assets related to land, water and vegetation. The UN Development Programme's latest Human Development Report, published in May, described the scheme as "one of the largest public programmes in the developing world" and "one of the most effective schemes anywhere for helping the poor". The right to survival does not concern the South alone. It applies as much to communities affected by nuclear waste in the US and to those affected by destruction of forests and habitat in the Saami areas of Norway and Sweden as to Yanomami tribals living in the Brazilian Amazon. It is inalienable, indivisible and non-negotiable and forms the basis of other rights. The right to survival is not on the agenda for the UN human rights meeting scheduled for August. First, the battle to broaden human rights to take full account of environmental rights must be won. In this, Ksentini's survey may show the way. Her interim report spoke of "the indissoluble link" between human rights and the right to the environment. And, in the arcanely subtle wording of international negotiations, the use of the phrase "right to the environment" is itself a significant advancement over the old idea of "a law of the environment". ---Sanjeev Prakash is an economist with a special interest in environmental communications and mountain communities.